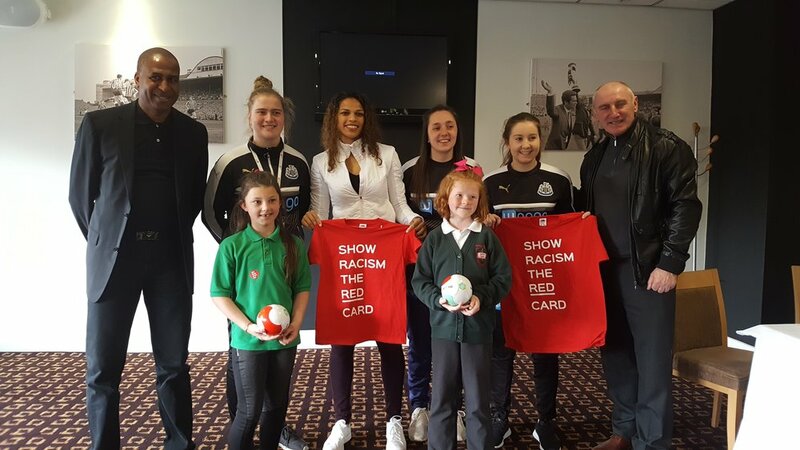 Show Racism the Red Card worked with Newcastle United FC for the second time this season to hold an educational event for young people. This event was part of an ongoing project supported by Department for Communities and Local Government to educate about Hate Crime. Pupils from Throckley Primary, Battle Hill Primary and St Paul’s Catholic School came to St James’ Park to take part in workshops exploring racism and stereotypes, what hate crime is and what we can do about it, before a panel Question and Answer session in the afternoon. Over the course of the morning’s workshops, the 90 Year 5 pupils in attendance also got to see behind the scenes of the home of NUFC on a special ground tour of the stadium. The young people engaged well with the workshops and contributed thoughtfully to discussions throughout the day, they also really enjoyed the tours. Following a screening of the SRtRC film in the afternoon, the audience has the chance to put their questions about racism and hate crime to a panel of special guests. 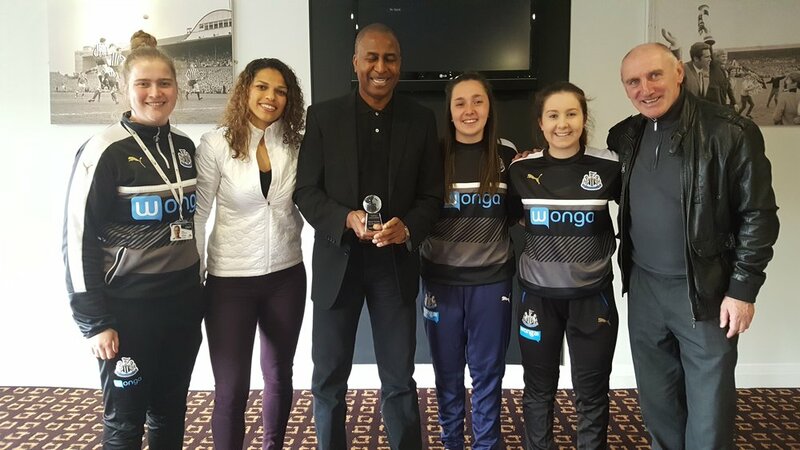 Joining us for the Q&A were SRtRC Honorary Patrons and former professional footballers, John Anderson and Carlton Fairweather, NUFC Ladies players Alice Harkness, Becca Hansen and Hanna Reid and Sunderland AFC Ladies player, Beverly Leon. There were some excellent questions to the panel, the young people had clearly thought hard about what they would like to ask throughout the day and the panel did a great job of sharing their experiences in sport and society and offering advice for young people if they encounter racism and prejudice. SRtRC provided some prizes of T-Shirts and mini-footballs for the most interesting questions of the session and the panel had a hard job to select just three. All of the young people left with a SRtRC goody bag, which included wristbands, the new SRtRC magazine and poster. They were also able to get a NUFC / SRtRC poster signed by the panel to take home with them. A big thank you from SRtRC to the panellists for giving their time and Throckley, St Paul’s and Battle Hill Primary Schools for bringing their pupils to the event. Special thanks as always to Newcastle United FC for their continued support of the SRtRC campaign.